An international team of citizen scientists, working on a conservation project in South Africa recently completed a world first – capturing a Hottentot buttonquail (Turnix hottentottus). This is remarkable, because this species, considered to be endemic to the fynbos biome of South Africa, has never been caught before. It is also a species of some mystery, with limited and variable knowledge regarding its ecology and conservation status. The Hottentot buttonquail is one of 18 species of Turnicidae; a group of cryptic, small, terrestrial birds probably best known for their polyandrous breeding systems. There has been little consensus over the last 30 years as to the conservation status and taxonomy of the animal. Taxonomically the species was considered conspecific with the black-rumped Buttonquail, while now they are considered a separate species. From the conservation perspective, the species has variously been described as: ‘on the brink of extinction’; ‘possibly extinct’; ‘possibly critically endangered’, while at the same time it was classified as ‘Least Concern’ globally; and as of 2014 ‘Endangered’ both globally and nationally. Clearly there is still much to learn about this species. Project scientist, Dr. Alan Lee is on a quest to advance the knowledge of this species. In addition to undertaking a range-wide population assessment of the species, Dr. Lee has been keen to mist-net and capture an individual so basic biometric information can be taken. This will permit telemetry collars to be fitted to this species so we can better understand their biology, ecology and inform conservation action. On capturing the first individual at Blue Hill Nature Reserve, in the Western Cape, Dr. Lee said ‘I am delighted. I have been mist-netting and ringing birds since 2011, with over 7000 birds caught, and this was the first Hottentot buttonquail, not just caught by me, but by anyone. 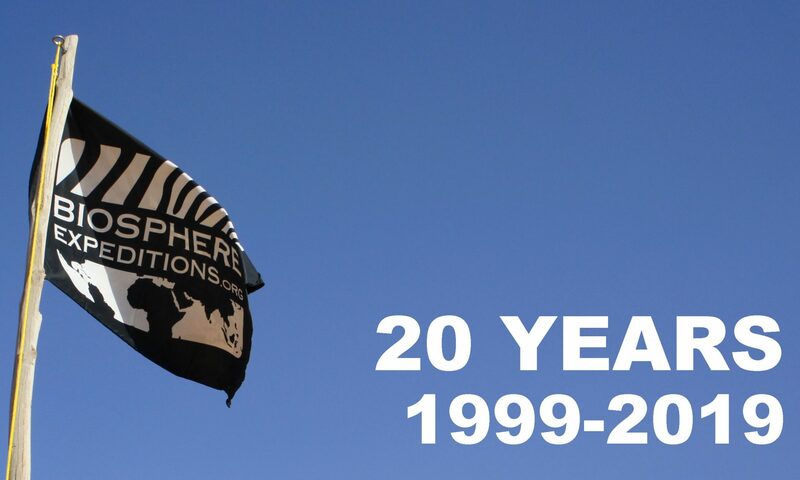 Clearly it wouldn’t have been possible without the collective efforts of the Biosphere Expeditions team’. 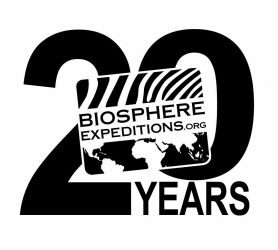 Biosphere Expeditions leader, Dr. Craig Turner stated ‘what a highlight for any expedition. Our volunteer teams want to contribute to worthwhile conservation science, but perhaps never imagined they could achieve a world first’. Dr. Lee is soon to publish a range-wide study assessing the population and distribution of the Hottentot buttonquail, and then will pursue to use of telemetry collars to better understand this over-looked species. Here are now also the highlights of the photos and videos you all shared (thank you).